The simplest way to start meditation is focusing consciously on the breathing pattern. Free the mind from all sorts of thoughts that come up and keep yourself calm. Meditation is a great stress buster that alleviates stress and other emotional problems. The practice of meditation provides relaxation to the mind and is known to cure many chronic ailments as well. There are a large number of individuals who try to meditate at some point in their life, but only few of them are able to sustain and continue to meditate in the later part of their life. Meditation has several health benefits. It lowers anxiety, increases concentration and provides a feeling of well-being and happiness. For a complete experience, there are a few basic requirements. One needs to take care of certain things, which appear to be simpler, but has a greater impact on the entire process. Let us take a look at a few tips that beginners should take into consideration while practicing meditation. Meditation is not purpose specific. There may be several reasons for various individuals practicing meditation. Many of them take up meditation to calm the mind, connect with the inner self, to breathe better, to improve health, to visualize goals, to control anxiety, to improve creativity, to become compassionate Or to be mindful. It is important to identify your need and then move ahead. For beginners, it is important to choose a convenient time. It is better to follow the same time each day for this purpose. There should be no disturbance, so that meditation can provide you relaxation and enjoyment. This not only maintains a disciplined approach towards meditation, but also helps you to achieve the purpose of meditation. As per ancient literature, the dawn and dusk are ideal for practicing. Calm and peaceful surroundings make a relaxing and enjoyable experience. So it is necessary to choose a place devoid of any disturbances. It is advisable to switch off all the electronic gadgets like mobile phones or laptops as they may be distracting. Meditation in dim light can assure more calming effect. Playing some music also helps in the relaxation of the mind. Wear light and comfortable clothing. Remove any kind of shoes or other footwear, so that you may sit in a relaxed pose. It is advisable to loosen any tight clothing that you may be wearing as it might lead to discomfort during. This is important to avoid any kind of distraction. Before you begin, a few stretches and warm-ups are recommended. Warm-ups remove restlessness, improve blood circulation and make the body feel lighter and energetic. This also enables to sit in the meditative pose for a longer duration. For beginners, meditation can be practiced by simply sitting in a quiet place and focusing on breathing. As you get accustomed to this, other ways of meditation can be practiced. For example meditation for a specific purpose or walking or guided meditation or guided. Avoid using a difficult pose during the initial stages of learning. In the beginning, one can sit on the floor or a chair or cross legged. Avoid using a cozy couch or bed as you may fall asleep. The posture is an important factor for a successful experience. Sit comfortably, stay relaxed and steady if possible. Sit straight. Keep your neck and shoulders relaxed. And keep your spine erect. In the beginning, it is easier to meditate when the stomach is empty. Do not meditate when you are absolutely hungry as food will dominate your mind instead of meditation. This is because the digestive system may cause hindrance with peaceful meditation. An alert mind is the key component of meditation. Hence, it is advisable to abstain from alcohol, smoking or any kind of non-prescribed drugs or medication. Deep breathing and meditation go hand in hand. By concentrating on deep breathing, you will be able to focus the mind. The breathing rhythm also helps the mind to reach a meditative state. It is better to do simple deep breathing in and out before beginning. For a great experience, it is necessary to keep a gentle smile on the face. This not only relaxes you during meditation, but also imparts an eternal peaceful experience. At the end of the meditation, always remember to open your eyes slowly. Sit in the chosen pose and concentrate on your breathing. Whenever your thoughts drift away, get back to your breath. Deeply inhale and exhale, feeling the physical sensations associated with your breathing. As a beginner it is slightly difficult to keep focused during meditation. In this case, you can resort to counting of each breath for a few minutes. This will facilitate in bringing back the mind into the present moment. It may not provide instant results. It needs at least a few weeks or months of regular practice. This should not be a reason for discontinuation of meditation. Be focused and determined to get better results. Practicing regularly can only give you desired benefits. Daily practice even for a short period is more beneficial than meditating for a longer duration only once a week. 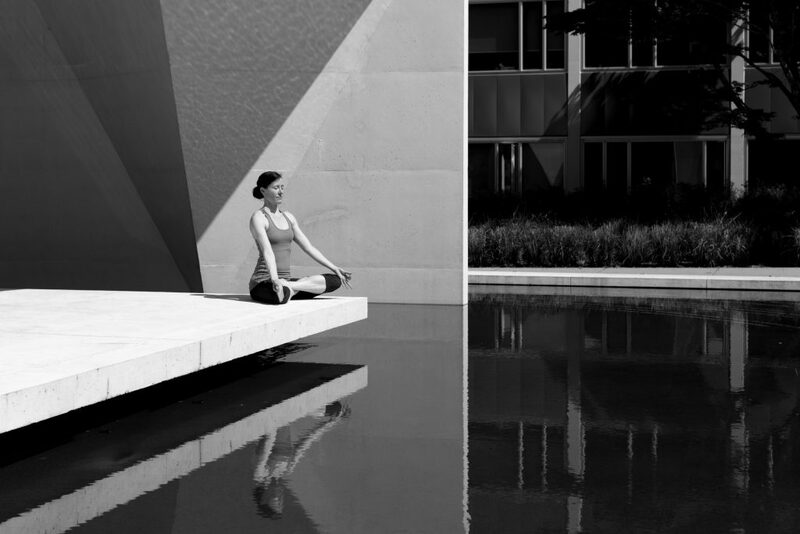 There are certain postures that are recommended for meditation and for an intense experience. Let us take a look at these positions. Walking: This type of meditation is recommended by teachers. It can also be a joyful experience. This involves walking slowly and consciously, focusing on each step. Your arms may be relaxed on the sides. And you can move freely irrespective of the pace and distance covered. Lastly coordinate the breathing with steps while walking. Standing: This is another powerful type. Individuals who believe that it builds mental, physical and spiritual strength can do well with standing. Stand with the legs apart, arms On the sides and knees soft. Keep your chest open, shoulders rolled back and chin parallel to the floor. The whole body should be aligned in a good posture during this position. Reclining: This posture is referred to as Shavasana or the corpse pose. This is associated with both relaxation as well as meditation. This involves lying down on the back, arms on sides and with both the palms facing upwards. Your eyes may be opened or closed. Although this pose is relaxing, it may be difficult to stay awake at times. Guided: This type is practiced with the help of a guide or a teacher. Mantra: Mantra is practiced by repetition or chanting of certain mantra, word or phrase. Mindful: Mindful meditation involves taking a break and making yourself aware of your surroundings. Yoga or Tai Chi: Both yoga and tai chi involves performing various postures with a concentration on breathing while balancing the movements. Deep breathing: This is the simplest technique that exclusively concentrates on the deep breaths from the chest. traditional method, the meditator usually visualizes a chosen deity or an object. Gazing: This kind of meditation is also referred as Drishti that means to view or gaze. Here the meditator focuses on the object with open eyes.